Sally’s lifelong interest in the subject of nutrition began in the early 1970s when she read Nutrition and Physical Degeneration by Weston A. Price. Called the “Charles Darwin of Nutrition,” Price traveled the world over studying healthy primitive populations and their diets. The unforgettable photographs contained in his book document the beautiful facial structure and superb physiques of isolated groups consuming only whole, natural foods. Price noted that all of these diets contained a source of good quality animal fat, which provided numerous factors necessary for the full expression of our genetic potential and optimum health. Sally applied the principles of Dr. Price’s research to the feeding of her own children, and proved for herself that a diet rich in animal fats, and containing the protective factors in old-fashioned foodstuffs like cod liver oil, liver, raw milk, butter and eggs, make for sturdy cheerful children with a high immunity to illness. When the youngest of her four children became old enough to attend school full time, Sally applied her writing skills and training in French and Mediterranean cooking to the subject of nutrition and began work on a comprehensive cookbook that would combine accurate information on nutrition with delicious, practical recipes. She teamed with Mary Enig, PhD, an expert of world renown in the subject of lipids and human nutrition. With over six hundred thousand copies in print, Nourishing Traditions® has stimulated the public health and medical communities to take a new look at the importance of traditional foods and preparation techniques, and to re-examine the many myths about saturated fats and cholesterol. The book places special emphasis on the feeding of babies and children to ensure optimal development during their crucial growing years. 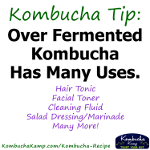 The culinary ideas introduced in Nourishing Traditions® have stimulated the growth of a variety of small businesses providing traditional nutrient-dense foods including lacto-fermented condiments, kombucha and other lacto-fermented soft drinks, bone broth and genuine sourdough bread. Raw milk production is flourishing as are direct farm-to-consumer buying arrangements. 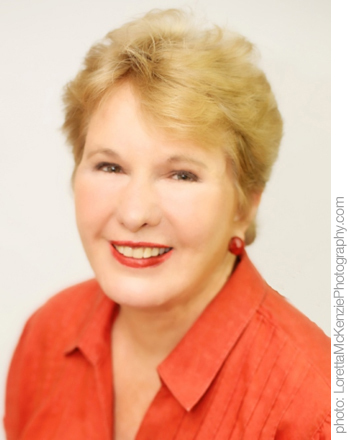 Sally is frequent contributors to holistic health publications. Her work is widely respected for providing accurate and understandable explanations of complicated subjects in the field of nutrition and health. Several articles on the dangers of modern soy products have generated intense controversy in the health food industry. Her presentations on Nourishing Traditions Diets and The Oiling of America have earned highly complimentary reviews throughout the US and overseas. Sally Fallon Morell is founding president of the Weston A. Price Foundation and editor of the Foundation’s quarterly magazine. The Foundation has fifteen thousand members and almost six hundred local chapters worldwide. The Foundation has changed the conversation about what constitutes a healthy diet and has stimulated many fine writers to challenge the legitimacy of the lowfat, low-cholesterol paradigm. The Foundation has also alerted the public to the dangers of modern soy products, especially soy infant formula. She also founded A Campaign for Real Milk (www.realmilk.com). At its inception in 1998, the website listed only twenty-eight sources of raw milk in the U.S. Today there are over two thousand, with many hundreds more not listed. Raw milk is the fastest growing agricultural product in the US; this growth has been largely stimulated by the information provided at realmilk.com. She is also president and owner of NewTrends Publishing, serving as editor and publisher of many fine books on diet and health, including other books in the Nourishing Traditions® series. Her most recent titles are The Nourishing Traditions Book of Baby & Child Care (with Thomas S. Cowan, MD) and The Nourishing Traditions Cookbook for Children (with Suzanne Gross). Sally is also the author of Eat Fat Lose Fat (Penguin, Hudson Street Press, 2005), co-authored with Dr. Mary Enig and Nourishing Broth (Grand Central, 2014), co-authored with Kaayla T. Daniel, PhD, CCN. In 2009, Sally and her husband Geoffrey Morell embarked on a new venture: they purchased a farm in Southern Maryland. P. A. Bowen Farmstead is a mixed-species, pasture-based farm that produces award-winning artisan raw cheese, whey-fed woodlands pork, pastured poultry and pastured eggs. The farm does not use corn, soy, GMOs, pesticides, herbicides, hormones or antibiotics. Sally received a Bachelors Degree in English with honors from Stanford University, and a Masters Degree in English with high honors from UCLA. She speaks French and Spanish. Her interests include music, gardening, metaphysics . . . and of course cooking. She lives in Brandywine, MD with her husband Geoffrey Morell. She has three beautiful grandchildren, all brought up according to Nourishing Traditions® principles.